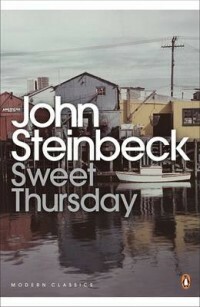 which for me is Sweet Thursday by John Steinbeck. The rules of the Spin are that this is the book for me to read by May 31, 2019. In Monterey, on the California Coast, Sweet Thursday is what they call the day after Lousy Wednesday – one of those days that’s just bad from the start. But Sweet Thursday is sunny and clear, a day when anything can happen. Returning to the scene of Cannery Row, Steinbeck brilliantly creates its bawdy, high-spirited world of bums, drunks and hookers, telling the story of what happened to everyone after the war. There are colourful characters old and new, all united by love, laughter and tears: Fauna, the latest madam at the Bear Flag brothel, Doc, still there for everyone else but feeling strangely sad himself, and Suzy, the new hustler in town who might just be the girl to save him. It’s time for another Classics Club Spin. By 22 April compile a Spin List of twenty books that remain ‘to be read’ on your Classics Club list. On that day the Classics Club will randomly pick a number and that will be the book to read. You then have until the 31st May 2019 to finish your book and review it. I have only 15 unread books left on my list so, I’ve repeated five of the titles to make the numbers up to 20 – Little Dorrit, Oliver Twist, The Return of the Native, Sweet Thursday and Clouds of Witness. which for me is Greenmantle by John Buchan. The rules of the Spin are that this is the book for me to read by January 31, 2019. 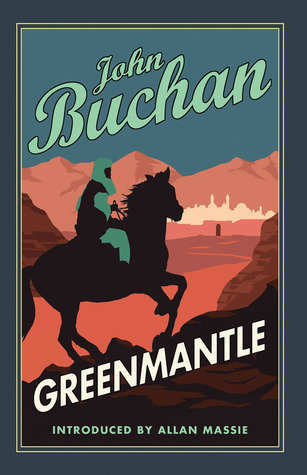 Greenmantle is the second of five novels by John Buchan featuring the character of Richard Hannay, first published in 1916. I’ve read the first, The Thirty-Nine Steps. Richard Hannay is tasked to investigate rumours of an uprising in the Muslim world and takes off on a hair-raising journey through German-occupied Europe to meet up with his old friend Sandy Arbuthnot in Constantinople, where they must thwart the Germans’ plans to use religion to help them win the war. Set during World War I, Greenmantle is a contraversial meditation on the power of political Islam (it was pulled from Radio 4’s schedule at the time of the 7 July bombings). I’m really pleased this book came up in the Spin for me as it will fit in with my reading about World War I.
Penguin is publishing the entire series of Maigret novels in new translations. This novel has been published in a previous translation as Maigret at the “Gai-Moulin”. 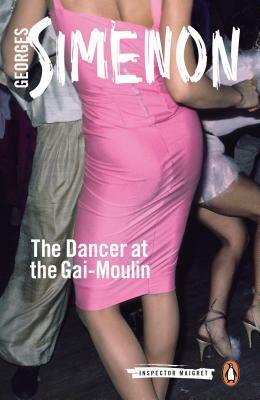 The Dancer at the Gai-Moulin by Georges Simenon, translated by Siân Reynolds is one of the early Maigret books, first published in 1931. Two teenage boys, Delfosse and Chabot, attempt to burgle Le Gai-Moulin, a nightclub in Liege in Belgium, but on finding a body they panic and leave, fearing they’ll be suspected of murder. The next day, to the boys’ amazement, the corpse is found in the Botanical Gardens in a large laundry basket in the middle of a lawn. Who was he, who killed him, why was he killed and who had moved the body from the nightclub to the Botanical Gardens? This short book is mainly concerned with Delfosse and Chabot and their subsequent actions that set them at odds with each other and land them in police custody. It’s an unusual Maigret book in that Detective Chief Inspector Maigret is not immediately involved in the police investigation – that is carried out by Chief Inspector Delvigne of the Belgian police and part of the mystery is why Maigret is even in Liege. Adèle is the dancer referred to in the title but she doesn’t play a major role in the book, although the two teenagers are obsessed with her. It’s quite a puzzle and Maigret doesn’t reveal his thoughts, or his reasoning until the end, much to the annoyance of Delvigne. She wasn’t beautiful, especially now, lounging about in her mules and shabby peignoir. But perhaps, in the familiarity of this intimacy, she held even more allure for him. How old was she, twenty five, thirty? She’d certainly seen life. She often talked about Paris, Berlin, Ostend. She mentioned the names of famous nightclubs. I knew that Simenon was a prolific author, writing seventy five novels and twenty eight short stories featuring Maigret, but I was surprised to find that The Dancer at the Gai-Moulin was the 10th book that he published in 1931. By the end of 1931 his books had been translated into 18 languages. This book slots into the only reading challenge I’m doing this year – What’s in a Name 2018. It fits into the category of a book with the word ‘the‘ used twice in the title. It is also one of my TBR books (a book I’ve owned prior to 1 January 2018) and also a book on my Classics Club list. which for me is Little Dorrit by Charles Dickens. The rules of the Spin are that this is the book for me to read by April 30, 2018. I don’t know whether to laugh or cry. As it’s on my list I do want to read it – sometime – maybe not right now. I know very little about Little Dorrit, just that it’s long and my copy is one of the Wordsworth Classics in a very small font. I stopped watching the TV adaptation with Tom Courtney as William Dorrit – such a dark and dreary production with him in the Marshalsea debtors’ prison. The blurb on the back cover says that Dickens’ working title for the book was Nobody’s Fault. Well, it’s his fault for writing it – and mine for for putting it on the Spin List – oh, yes and the Spin God for spitting out number 3. I just hope I enjoy it! 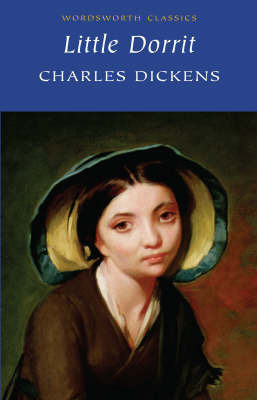 Little Dorrit is a classic tale of imprisonment, both literal and metaphorical, while Dickens’ working title for the novel, Nobody’s Fault, highlights its concern with personal responsibility in private and public life. Dickens’ childhood experiences inform the vivid scenes in Marshalsea debtor’s prison, while his adult perceptions of governmental failures shape his satirical picture of the Circumlocution Office. The novel’s range of characters – the honest, the crooked, the selfish and the self-denying – offers a portrait of society about whose values Dickens had profound doubts. Little Dorrit is indisputably one of Dickens’ finest works, written at the height of his powers. George Bernard Shaw called it ‘a masterpiece among masterpieces’, a verdict shared by the novel’s many admirers. A ‘masterpiece‘ – that makes it sound OK – doesn’t it? which for me is Martin Chuzzlewit by Charles Dickens. The rules of the Spin are that this is the book for me to read by December 31, 2017. I’m pleased with the result as I’ve been meaning to read this book ever since I saw a TV version. I’ve just checked and it was shown in 1994 with Paul Scholfield as Old Martin Chuzzlewit – that’s 23 years ago! It really is time I read it. 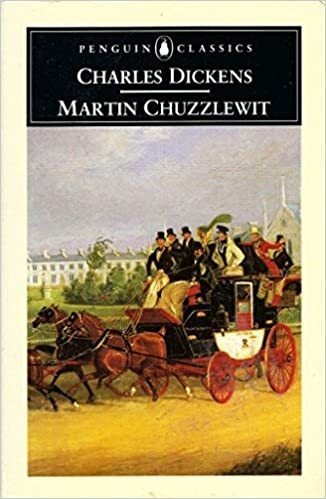 While writing Martin Chuzzlewit – his sixth novel – Dickens declared it ‘immeasurably the best of my stories.’ He was already famous as the author of The Pickwick Papers and Oliver Twist . Set partly in America, which Dickens had visited in 1842, the novel includes a searing satire on the United States. Martin Chuzzlewit is the story of two Chuzzlewits, Martin and Jonas, who have inherited the characteristic Chuzzlewit selfishness. It contrasts their diverse fates of moral redemption and worldly success for one, with increasingly desperate crime for the other. This powerful black comedy involves hypocrisy, greed and blackmail, as well as the most famous of Dickens’s grotesques, Mrs Gamp.